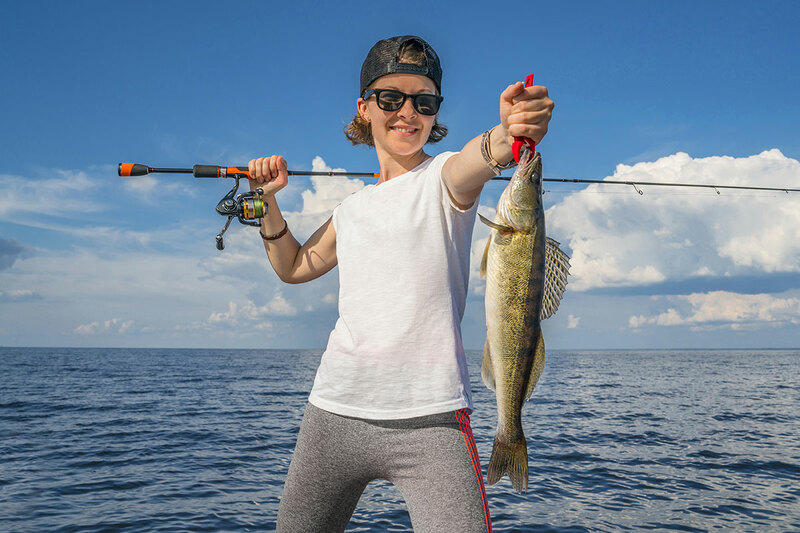 With the exception of Sunday, the long Fourth of July Weekend provided excellent weather and fine walleye fishing on Saginaw Bay. While the red-hot action of June has slowed just a tad, limit catches were still pretty much the rule. 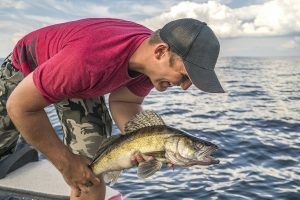 Water temperature in the open waters of the Bay was barely over 70-degrees so there is no reason for the walleye to move out of the bay any time soon. Also, for the first time this summer, some pretty good action was reported off the northeast corner of Big Charity Island. 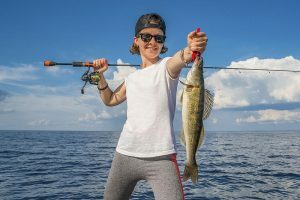 Small boat anglers have been doing exceptional both early and late in the day while fishing open pockets the near-shore weed beds. Crawlers tossed into the pockets have a very short life span. 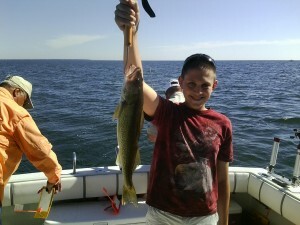 Trolling the edges of the weed beds with crawlers as well as ¼-ounce Hot ‘N Tots has also been highly productive. To get the most out of a crawler harness, tie them up on at least a three-foot fluorocarbon leader, which is virtually invisible to spooky fish. Secondly, a light bite is best detected with an in-line planer board (Off Shore and Church boards are favorites) with a spring-loaded flag that with indicate the slightest bite. Walleye will often merely grab a crawler and swim along with it, so watch the boards closely. 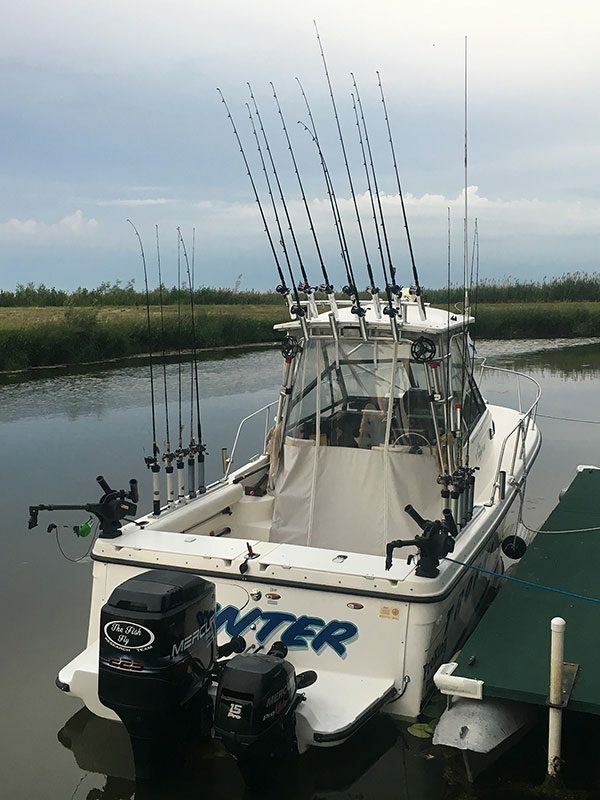 If the front of the board tips up and the back goes down, even though the flag has not moved, odds are a small fish or a walleye has grabbed the crawler. At that point, grab the rod, and gently release a bit of line while maintaining slight pressure on the board. 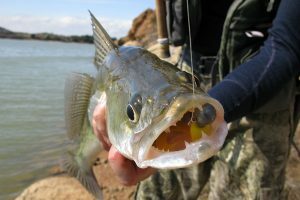 This will often be enough for the walleye to more aggressively take the crawler. Boat launching tips: (1) EZ Loader Trailers also unload easily! I recently watched a boater take off his boat’s safety chain too soon and deposit the boat directly on the concrete ramp! (2) Always have someone hanging onto a bowline when launching the boat. I also watched a boat slide off a trailer and go floating down the AuSable River at Oscoda while its’ owner yelled for help! Be smart, be safe, and good fishing.